Vimeo Cameo : If you want to enjoy mobile editing feature then the latest version of Vimeo Cameo is here for you. This platform is rated as an amazing mixture of platforms with lots of improvements over earlier version of software. iOS users can enjoy its easy to use interface with unique set of features like text editing, colour variation tools and filters for fine clicks. The application also serves users with free music over videos. FilmoraGo: This platform is completely loaded with advanced video editing features and social integration options. 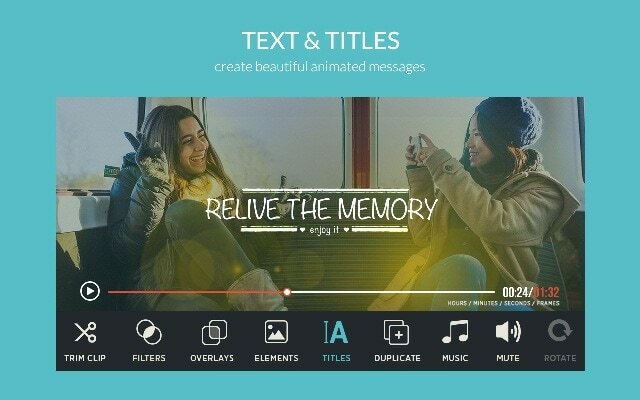 You can enjoy high end preloaded video editing services on your smartphones with this tool. There are so many filters, title editing facilities, caption options and advanced animation effects that can be applied for video customization needs. Vimeo can be used by iOS users only with a dedicated login account. Users can import the camera rolls only to their timeline. The editing features in Vimeo are also very limited as compared to Filmora Go as it does not allow one click video editing, transitions, PIP support, motion adjustment features and overlays are also missing here. You will not get any watermark on your videos- That is really good. It is possible to share videos via Instagram, Email, Facebook, SMS and Twitter. Filmora is available for iOS as well as Android users without any login. FilmoraGo allows users to import camera roll, Google Plus, Instagram as well as facebook collections with ease. This software tool has so many advanced features and also covers the missing features of Vimeo Cameo. Watermarks are added to videos. Videos can be directly shared via Whatsap, Instagram, facebook, Email and Vimeo and YouTube etc. 1.It offers 4K video support with breathtaking clarity. 2.Mobile users can also avail all rich editing features. 3. Works perfectly on iOS and android platform. 4. It can also work offline. 1. 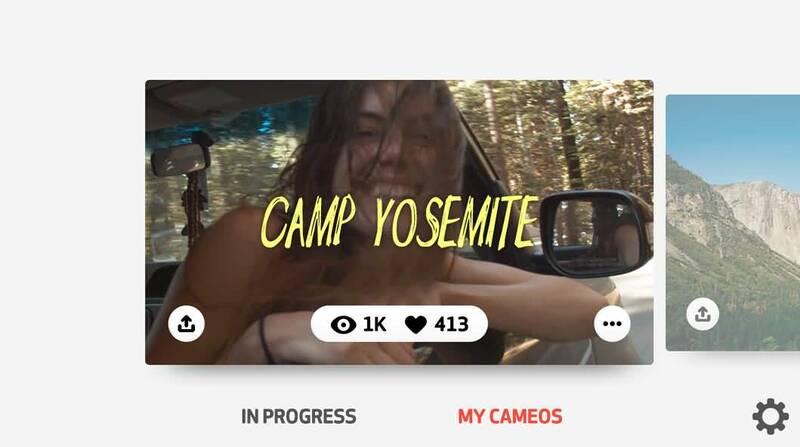 Vimeo Cameo can develop high resolution videos with great details. 2. Users can enjoy editing with mixture of three different tools that add more stuff for making choice..
1. Watermarks at the end of video in form of short Filmora Go clip are really annoying. 2. IAP is an issue. As Cameo can work only on iOS platforms and also offers very limited editing features so if you are in need of an advanced editing tool then Filmora can serve all your needs. The best part is that it is compatible with iOS as well as Android devices so you can access it anywhere with ease. Also, FilmoraGo provides support to 4K videos that is best advantage for development of tutorials and informative video sessions. Its ability to work offline with great feature set will make your editing tasks much easier even at location where internet connection is still a problem.